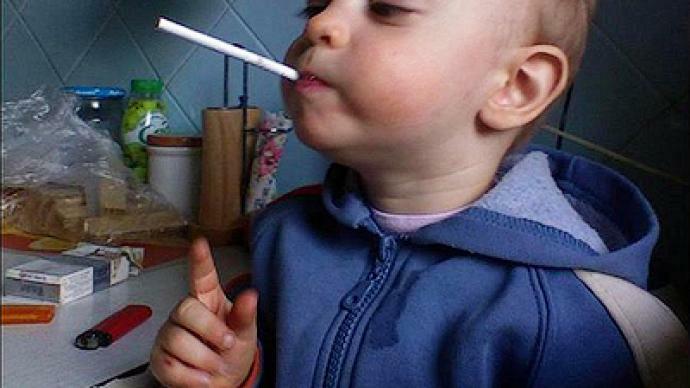 It is official – Russia has the most smokers per capita in the world. The shocking statistics just released are yet another reminder to the government that they need to lift their game in their anti-smoking efforts. Anti-smoking ads in Russia are brief but graphic. The World Health Organization and the Russian government are hitting the airwaves with a campaign meant to stamp out cigarettes. In a nation where a pack of smokes is sometimes cheaper than a bottle of water, a new study shows that more people light up here than anywhere else in the world. More than half of all men smoke here. The number is smaller among women at 25 per cent, but it is growing. According to the WHO, diseases associated with the addiction kill nearly 500,000 Russians every year. 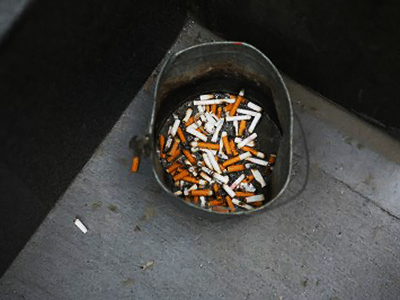 “About 47 per cent of smokers…today started smoking at the age of 15 or 16. And the sad thing is that the tobacco industry, knowing this, provides very glamorous and intriguing tobacco advertising,” says Natalya Toporova from the WHO Tobacco Control program. The government is taking action by banning cigarette ads and cigarette promotions in TV and films beginning in 2011. Lawmakers are also pondering the possibility of making it more expensive to puff. Prime Minister Vladimir Putin is asking legislators to lead by example. “Who among government members smokes? One, two, three… See, we have better statistics then in our country at large. At least on this issue,” Putin said at one of the recent government meetings. “But I think they will try to quit smoking, won’t they?” he asked, referring to those who raised their hands. Some call the government’s anti-smoking efforts an overzealous infringement of their rights. “It’s wrong to create a law to ban you from smoking at all. It’s like banning you from wearing scarves,” said one Muscovite. “I won’t care if there’s a ban. I’ll smoke if I want to smoke,” another passer-by maintained. More measures are on the way including a complete public ban on smoking in bars and restaurants set to take place by 2015. However, there is a place in Moscow where, by the end of the night, you will not smell like you just rolled around in someone’s ashtray. Moscow’s first smoke free bar, Belka, is the brainchild of Hovannes Pogosyan, who himself has been cigarette-free for four years. His aim is to have a fashionable place where non-smokers can breathe easily. “Look at the experience of European countries. Profit depends on whether one likes it here or not. If I can create a cozy and relaxed atmosphere and make people here feel joy and be merry, I will earn my money,” says Pogosyan. For some Muscovites, it seems the smoke-free future is now. Georgia: No smoking? No way!